Our furry four-legged friends are an important part of the family too, so spoil them rotten this season with these gorgeous Christmas present ideas for pampered pets. From snuggly winter dog sweaters and luxe leather cat collars and tasty festive treats, StyleTails rounds up the perfect gifts for pampered pooches and cherished cats and this Christmas. 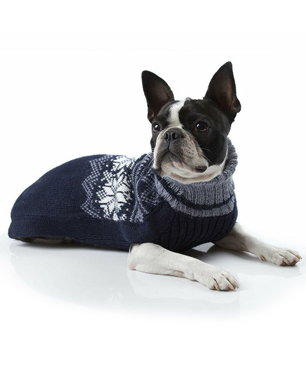 Hand woven in Peru from exquisitely soft and warm Alpaca, this festive dog sweater is a winter wardrobe essential. The Nordic Snowflake motif and high neck style will look a treat in front of the fire on Christmas Day. 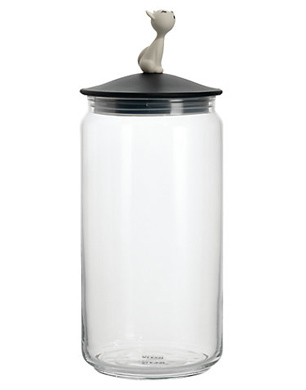 Store pet food in style with this cat food jar from Alessi. Made from thermoplastic resin and fitted with a cute sitting kitty on the lid, fill it with tasty treats for when they’ve been really good. Is there anything more chic than being toted around town in style? 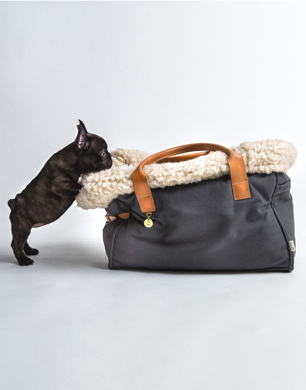 This luxe new pet carrier from Berlin-based brand, Cloud7 is lined with super snuggly sheep’s wool and fitted with buttery soft leather handles – the ultimate Christmas gift for petit pooches. 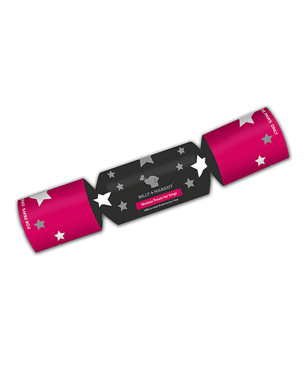 Canines will go crazy for this Christmas cracker filled with delicious venison dog treats. As well as being tantalisingly tasty, venison is also full of nutrients including zinc and iron. Plus, the cracker comes with a hat and a joke for some extra festive fun. 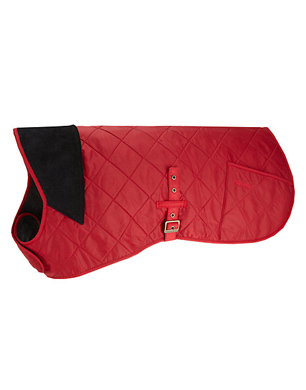 This red quilted dog coat from Barbour will make winter walks a far more stylish affair. Keep pooches snug and dry with this waterproof number. 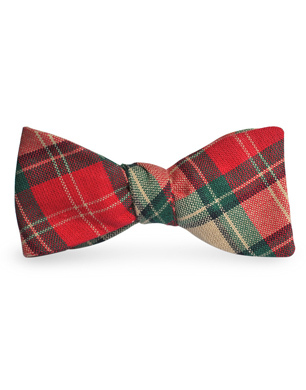 Cultured kitties can cut a sartorial dash this festive season with this tartan cat bow tie. Handmade in Germany from 100% cotton, pop it on, on Christmas Day for that finishing feline touch. 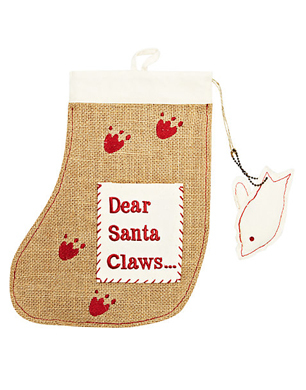 Feline friends can feel part of the gift giving this Christmas with the hessian cat stocking. Fill it with toys and treats and hang from the fireplace. It also comes with a catnip fish toy for extra festive fun. 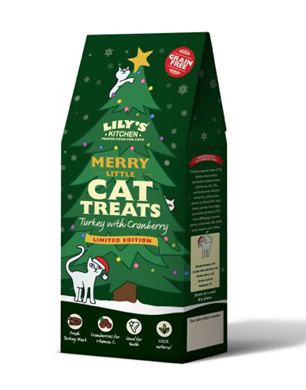 Don’t leave your feline friend out in the cold during Christmas lunch – these healthy cat treats are made with turkey and cranberry for lip licking goodness. Fussy felines will purr their approval for these stunning leather and gold plated Christmas cat collars. Handmade in London from red patent leather with contrasting white stitching and gold-plated falconry bells for a clear Christmas jingle, they are the final word in festive luxury. Give good (and bad) dogs something to play with this Christmas with these stylish and sturdy dog bone toys. 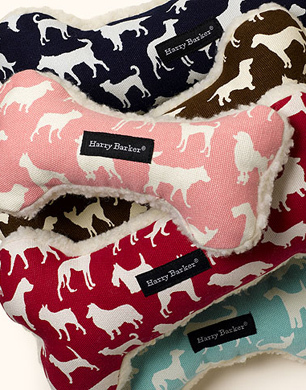 The cool canine silhouette fabric comes in five contemporary colours and it’s backed with berber for softness. 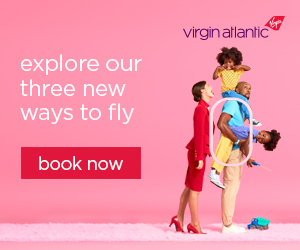 Fancy a stress-free Christmas this year? Avoid all cooking preparation related stress with our selection of best places to enjoy Christmas Lunch.